Established in 1972 and still family-owned business, Elledue is a leading company in the luxury contemporary-classic furniture market. Our worldwide success is based on our ability to offer great quality, innovative design and highly detailed furniture collections that can be customized to suit each customer’s specific needs. We are passionate about uniqueness and for our products we always choose the newest and most refined materials, fabrics and finishes. What sets us apart from our competitors is our commitment to keep manufacturing in Italy, especially in the Brianza district. Our furniture collections – developed internally or designed by international architects – have peculiar moods and inspirations and our diverse range can satisfy quite different tastes. We love to define our style as Avant-Garde Classic since our approach rethinks classic furniture in a fresh, bold and modern way. This is something we achieve with the help of artisanal craftsmanship on one side and the use of modern technologies on the other. The creative minds behind our furniture designs include Walid Fleihan, Andrey Vega, Giovanni Pagani and the in-house creative duo Alex-Charles. A long-term expertise in high-end furniture manufacturing and a complete range of services dedicated to retail showrooms, interior designers and architects make Elledue the perfect partner for developing, producing and installing tailor-made interior design projects. 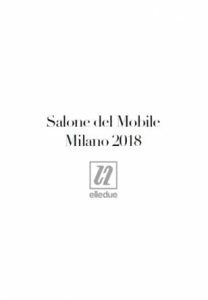 A regular exhibitor at Salone del Mobile since 1973, Elledue takes part in the most important design and furniture exhibitions around the world like Maison et Objet, Crocus Expo and was also invited to the first edition of the prestigious Salone del Mobile.Milano Shanghai. At Elledue we are specialists in developing and manufacturing tailor-made interior design projects. Our long-term expertise in luxury furniture production and our passion for fine details make us the perfect partner for those customers looking for unique interior design solutions. Our in-house design team works side by side with interior designers and architects to develop highly customized furniture and projects, which can best respond to final customers’ specific needs. With the help of our styling specialists we also support clients to finalize color schemes, finishes and fabrics choices that can best suit each piece of furniture and the overall space at once. Once the brainstorming is completed, after a detailed on-site metric survey, we produce CAD generated floor plans and 3D rendering images to help customers clearly visualize the possible outcomes of their projects. Thanks to our in-house manufacturing and to our local network of long-term suppliers and finishes specialists we have total control of the production. This means our clients can always keep track of the manufacturing process and eventually visit us to check the order status. Our multi-skilled installation team, made up of experienced and qualified specialists, can take care of the on-site installation, everywhere in the world. NEED MORE ELLEDUE ARREDAMENTI INFORMATION ?